Disclaimer: I was provided with products in order to give my honest and unbiased opinions and your views may differ to mine! Thank you! If you are looking for stocking stuffers this holiday season then Trudeau has some great things for the mom or dad that likes to be in the kitchen, or to the cook or the host of the party, here are a few neat ideas! We have floral wine glass stem decorations, which you can wrap around the stem of your glass to decorate and give a pop of color. There are several in a pack and the pack is small enough to fit in a stocking - they are colorful and charming and add that little touch of pretty to any drink! 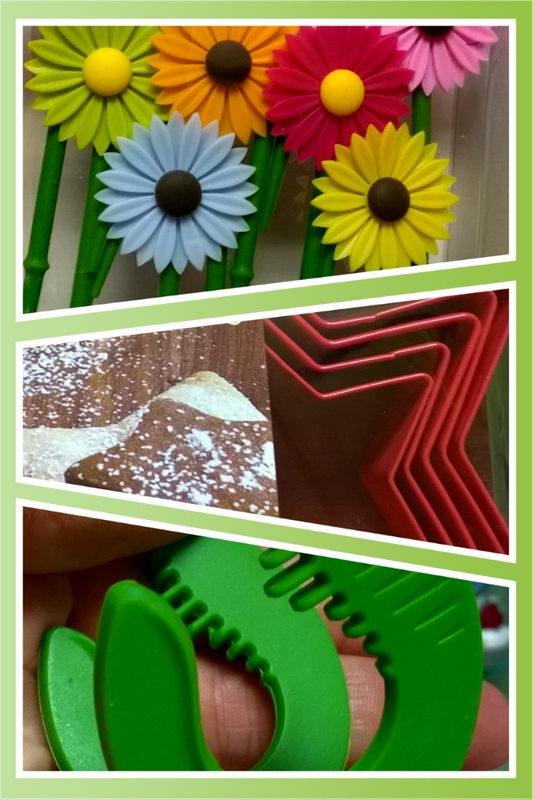 Trudeau also has a selection of cookie or cake cutters and we have a set in a star shape, which we use on a regular basis for cookies and treats! These are perfect as a stocking stuffer, but also for making Christmas themed cookies in the shape of stars, for Santa or your friends and family for sweet treat giving instead of presents! 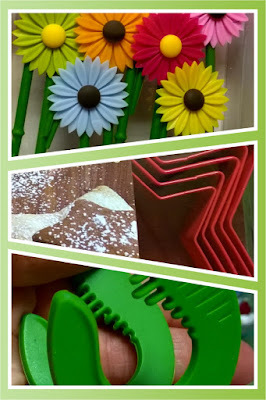 We also have a green colored spoon or spatula holder, which clips to the side of any pot or pan so that you can rest your spoon or spatula on it so that it 1. doesn't get hot while the food is cooking if you've left it in the pan (like I've done on many occasions) and 2. helps you not to lose the spoon or spatula in the pot or forget where you put it during cooking! This is a simple, genius gadget that really does help a lot in the kitchen - it pops right inside a stocking, too! Trudeau has outdone itself on great stocking stuffers this season because they aren't finished there! We also have some wine charms for your glasses or for the neck of your bottles, with different wine related tags on them! Great to spruce up a party or to set some wine tasting glasses. Perfect for the wine lover or for anyone hosting family who just wants to add a little pizazz! 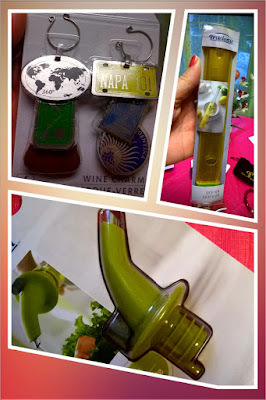 We have an olive oil spout, which helps to conserve the oil as well as to pour it and this is a great gadget to have if you are using olive oil on a regular basis, which I do! Pop one of these into the stocking of your cook or foodie and they won't be disappointed! Lastly, we have a zester, also from Trudeau, which is my favorite item of the bunch! It is long and slim and easy to store. Is covered up so you're not going to accidentally catch yourself on it reaching in the drawer, it is easy to clean and colorful and fits with any kitchen. One of these is a must have in the house if you are an avid baker or cook and always looking to add more flavor to everything, which I am, and which is why I am so thrilled to have this one! If you are impressed by what you see then you should check out the full range of Trudeau products available, HERE! You can also follow Trudeau on Facebook and Twitter, too! There are many gifts and gadgets to suit every need and well worth taking a look at for quality stocking stuffers this holiday season, which is why Trudeau make it into our Holiday Gift Guide, which you can follow on Twitter and other social media with the hashtag #mgbhgg, or at the tab, above!